Made from solid maple wood, the Alvin Shain Pedestal Table is a tough and heavy-duty table. Its sturdy base features pedestal-style panel legs and two truss bars that use bolt reinforcement with CNC joint construction. 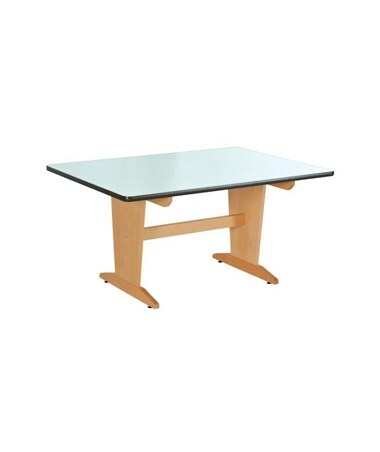 This pedestal table has a 42”W x 60”L tabletop. 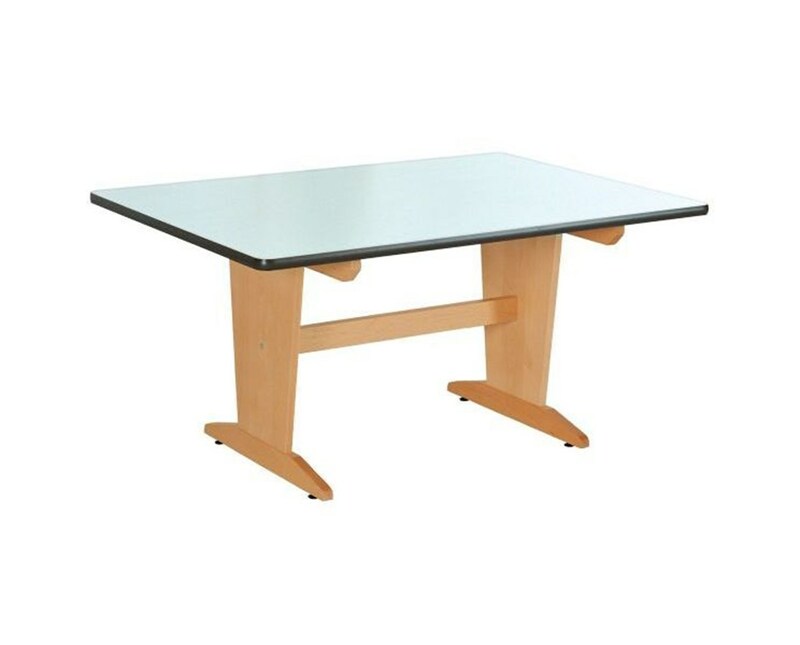 It comes in two tabletop materials: ¼-inch laminate Melamine or 1¾-inch maple wood. It has a fixed height of 30 inches. The Alvin Shain Pedestal Table offers optional tote trays. Perfect storage for tools and devices, these two tote trays provide additional convenience. The Alvin Shain Pedestal Table comes in two tabletop thickness & materials and optional tote trays. Please select your preference from the drop-down menu above.